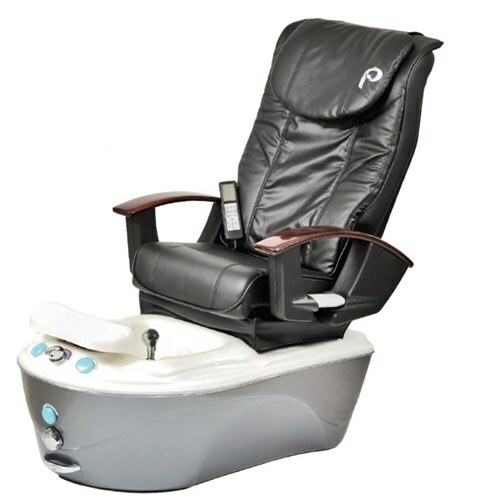 The PS95 Anzio Shiatsu Massage Pedicure Chair is a modern style pedicure chair that can complement your salon. It also includes a shiatsu massage with motorized slide and recline. The massage chair includes four auto programs for full or upper back, deep kneading, tapping, and rolling massage options, and seat vibration with three speed adjustments. The chair arms swing up and down, includes an LCD remote control, and an adjustable massage time. 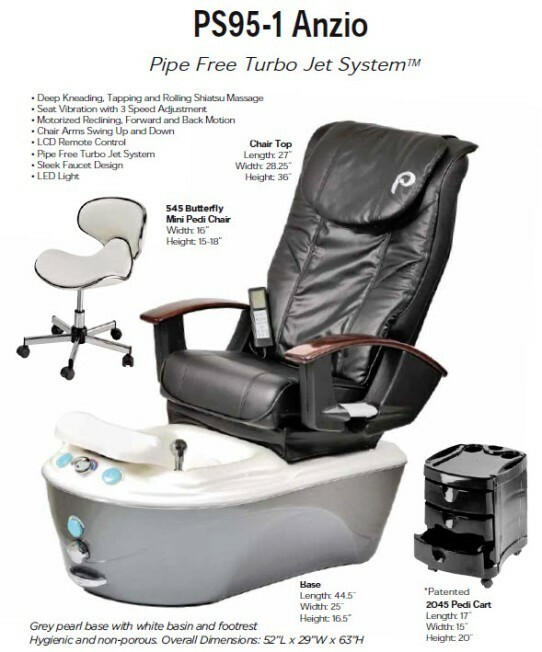 The gunmetal pearl base with white basin adds class to the pedicure spa area and all models include an adjustable footrest and color therapy light.